CeCe Winans is a singer, an author, a philanthropist and a businesswoman. She's hosted her own television show and has even moonlighted as an actress. She's a wife, a mother, a sister, a daughter and a friend. CeCe is many things, but her new album, Alabaster Box, shows her as she truly is at the very core of her soul: "I am a worshipper," she says. CeCe and her brother BeBe lept into the musical mainstream in the late eighties with such smash R&B singles as "I'll Take You There," "Addictive Love" and "Lost Without You." They performed equally well with Christian radio singles such as "Count It All Joy," "Don't Cry For Me," "For Always", and "Up Where We Belong." Along the way, picked up an arm-load of gold records and industry accolades. They've won numerous Grammy, Stellar, and Dove Awards. In 1995 the duo took a break to explore different solo musical adventures. Since then CeCe has recorded four albums, hosted one season of the former Odyssey Network variety series "CeCe's Place" and recently penned an inspirational memoir entitled, "On a Positive Note," for Simon & Schuster's Pocket Books division. She's also created a non-profit organization, Sharing the Vision, which not only serves the community at-large, but also provides financial support to other non-profits that are doing good work. To top all of those accomplishments, CeCe has launched her own recording label, Wellspring Gospel, which is one subsidiary of a wide-ranging entertainment company she has formed called CW Wellspring Entertainment. Alabaster Box is the label's first release and will be marketed by Sparrow Label Group and distributed by the Chordant and EMD systems to Christian and general markets. Some of her other memorable CDs are: Alone In His Presence, Everlasting Love, Alabaster Box, and Cece Winans. 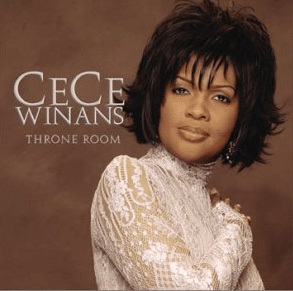 "The new album from CeCe Winans. Enter the Throne Room of worship with this musical canvas painted with the quiet strength of CeCe's exquisite vocal brush. Birthed out of spending intimate time in God's presence, this release is thoughtful, captivating and spiritually stirring. Birthed out of intimate time in God's presence, CeCe's prayer is that this thoughtful and captivating record will encourage you to reflect and worship as you are ushered into the Throne Room of God." She's number one in my book! CeCe your songs are inspirational I'm so blessed with your music that speaks right to the heart. Alabaster Box is one of my fav songs as well as "King of Kings", you are the greatest and I thank God for you and your inspiring messages. May God continue to bless you and your ministry as well as your family. Sista in Christ Thelma from H town. I just love CeCe's new CD, Alabaster Box!! The song "King of Kings" really touched my heart and it is my favorite song!!! Actually love all of her songs. I really believe that her songs are anointed. God bless her!! CeCe totally rocks! I also want to comment that one of my favorite. singers along with CeCe is Yolanda Adams. I am blessed by her music too, and wondered if you would consider putting her on your list. Thanx! CeCe, you are the greatest! I love your music, and the words inspire me. My sister and I have all of your CD's and we love the way you worship God through your music. Your music is truly anointed. God bless! 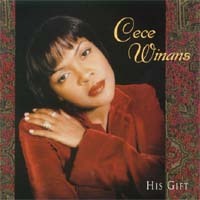 love Cece Winans! Her songs are so inspirational. I am in a dance ministry at my church and we all just love Cece. A lot of the songs that we do dances to are from her cds. Cece is full of talent and I wish her the best. I love CeCe's music, and it has changed touched my life, it makes me believe that Christian life is not boring, and that there is great music in heaven, and I so much love Alabaster Box' "it wasn't easy"
Your music has been so inspirational for me. It has helped me through so many of my problems. I hope you keep on writing gospel music. You are the best CeCe. I totally love your music.